Here is a list of events where Strike Blazinger may be playable, or a development team member will be attending in a guest / professional capacity. Stay tuned to this section for more locations where Strike Blazinger may appear in the near future! Our biggest showing of the year will be at the Portland Retro Gaming Expo at the Oregon Convention Center! This will likely be one of our last official pre-alpha demo appearances, as we head toward a shippable production schedule. Our station will be in the Retrocade area all 3 days! We'll have 2-player simultaneous play and the Whirlwind Vortx prototype which provides real-time wind and heat effects (be sure to check out Whirlwind's Kickstarter campaign that just went live!) Besides answering your questions on the game at our demo station, design lead and co-creator Chris Tang will once again be commentating the Classic Tetris World Championships on Sunday, so be sure to tune in for some "BOOM TETRIS FOR JEFF!" action! 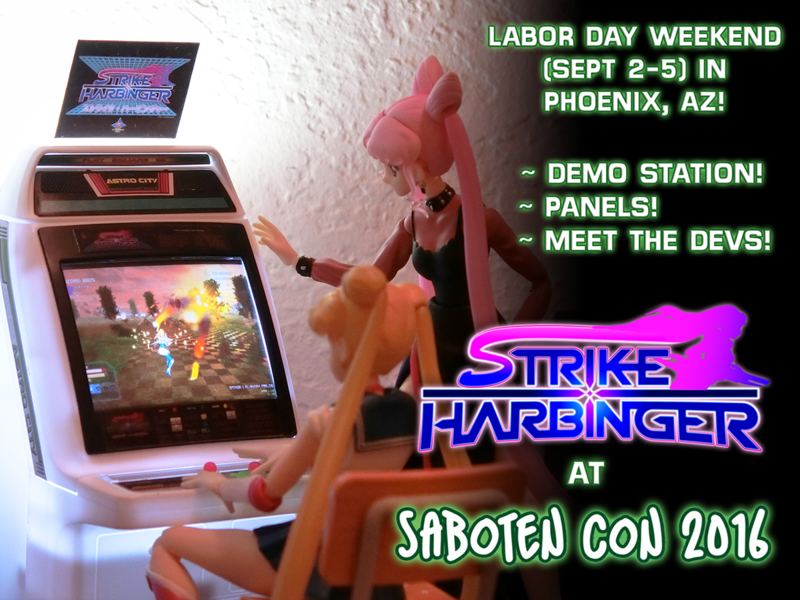 We'll be back in Phoenix, Arizona for Labor Day weekend at Saboten Con this September 1-4! Check out the demo that now features 2-player simultaneous high speed action, in the game room! Design lead and co-creator Chris Tang will be running a creative panel on Monday, September 4 at 1pm in Phoenix Room A that will discuss the game and provide Q&A opportunities for fans. 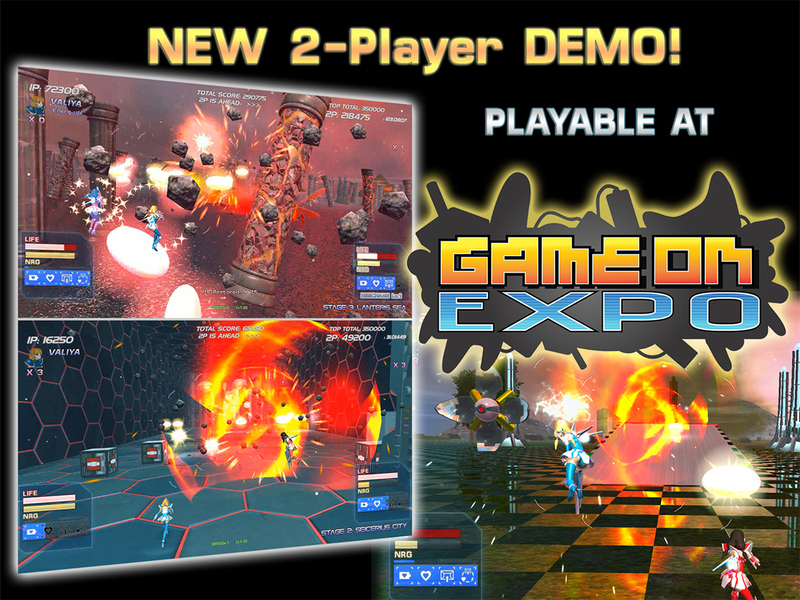 We're returning to the Game On Expo in Phoenix, AZ - with a new demo with many new features such as 2-player simultaneous gameplay and the start of a weapons loadout system. We'll have a nice 1440p demo station setup with motion effects provided by the Whirlwind VORTX peripheral prototype. Come check it out August 11-13 in the sunny, friendly southwest! 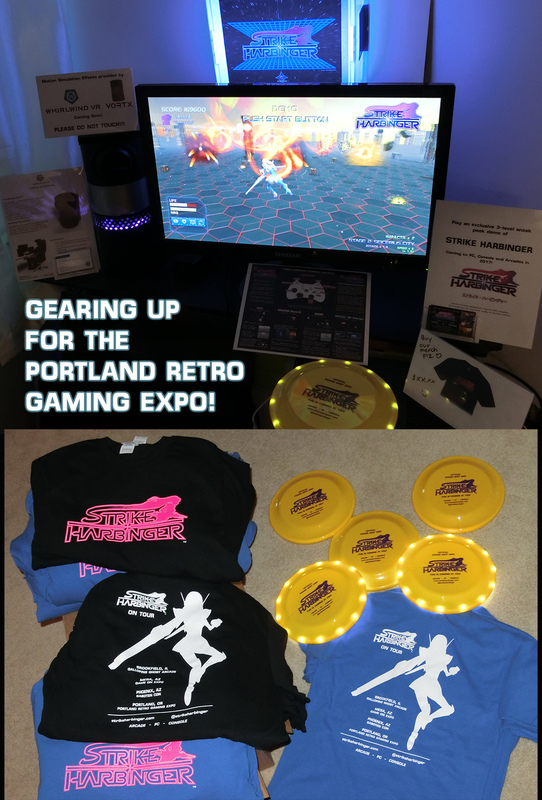 The Portland Retro Gaming Expo is shaping up to be our "season finale" of sorts for the Strike Harbinger 2016 Tour! With that, we plan to have a bigger and better demo station experience with a large 1440p monitor, motion simulation hardware provided by the upcoming Whirlwind Vortx peripheral prototype, and... hopefully some sweet merch for purchase and occasional swag giveaways! We'll be set up in the Retrocade gaming freeplay area all three days, including Friday! Strike Harbinger Design Lead Chris Tang will once again be emceeing the Classic Tetris World Championships finals, and will be receiving his official U.S. National Video Game team shirt initiation! Panel participation plans are pending. 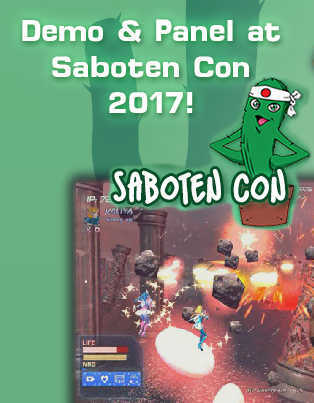 Saboten Con - where Strike Harbinger was first teased in 2015, returned in 2016 with great success! 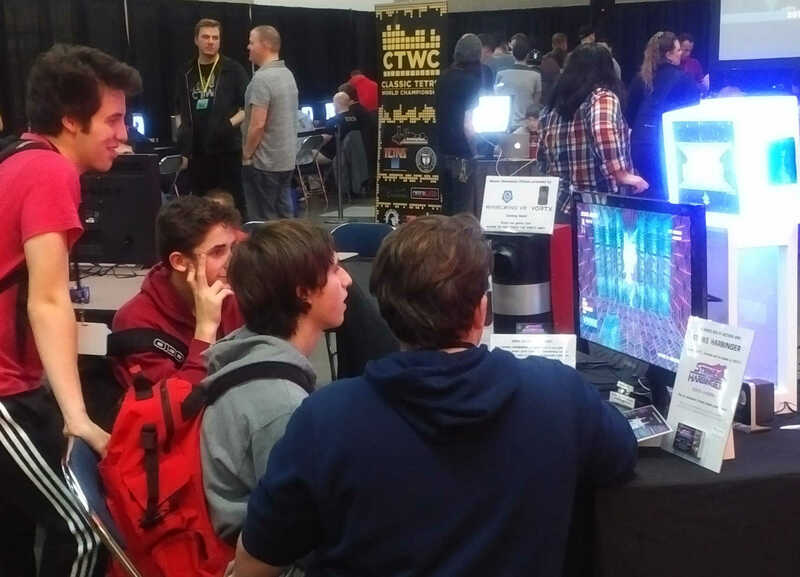 Our demo station was up and running 14+ hours a day over a 4-day event and received more play than ever before! 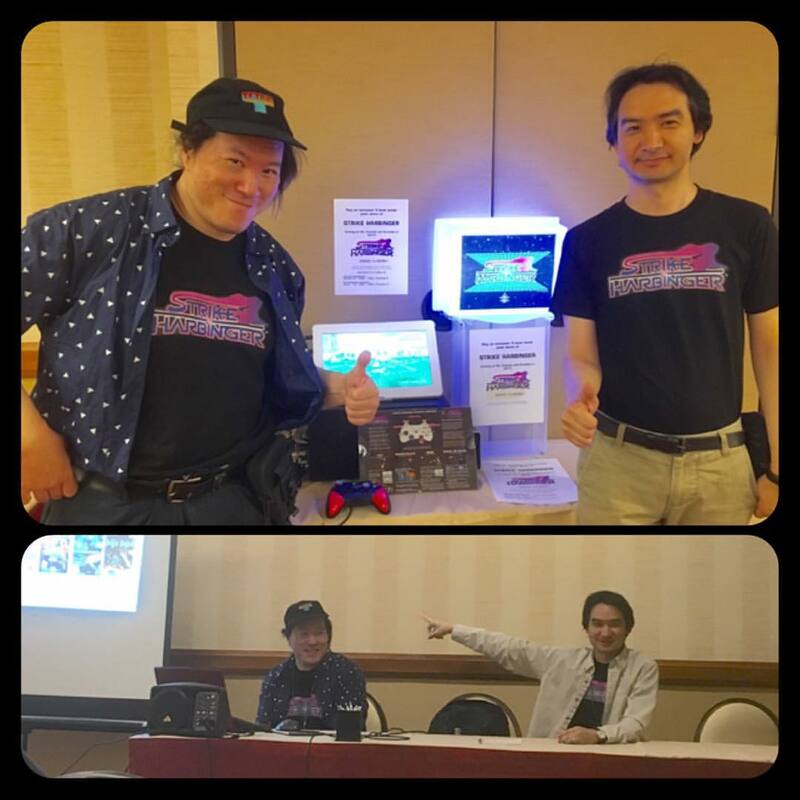 Senior Game Designer Chris Tang and Art Director Kiyoshi Okuma ran multiple panels on game development and spiritual successor games, and we got to show off some cool dev team T-shirts thanks to Sarumaru! Massive thanks go out to Greg Fennell. Tony Pineda, and the rest of the amazing Saboten Con staff; this event really holds a special place in our hearts and we can't wait to come back! 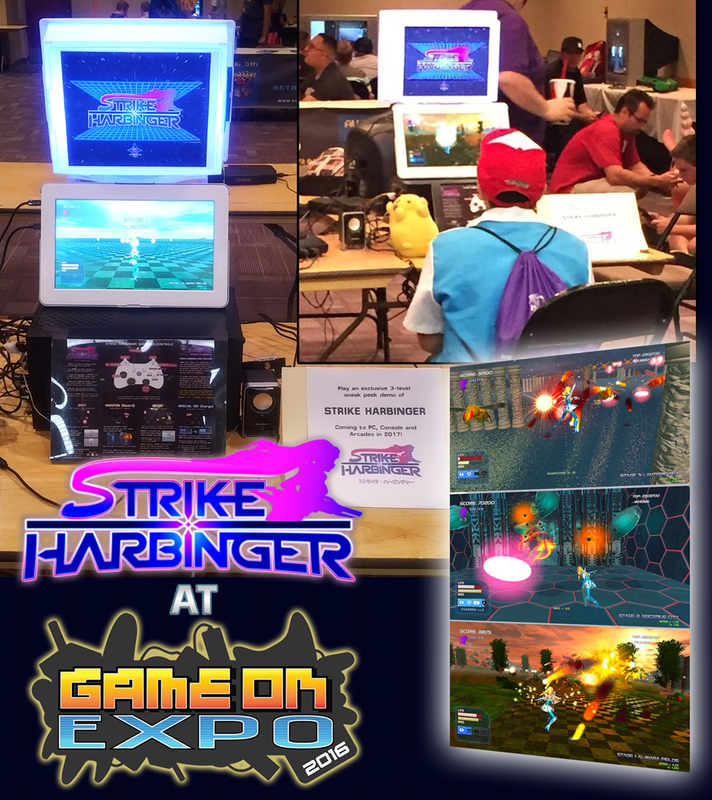 The public debut of the Strike Harbinger PC demo station was a resounding success at Game On Expo 2016 at the Mesa Convention Center! With our Lead Designer Chris Tang attending as a guest and Art Director Kiyoshi Okuma on hand to demo the game and answer questions, Strike Harbinger got a ton of play over the weekend! 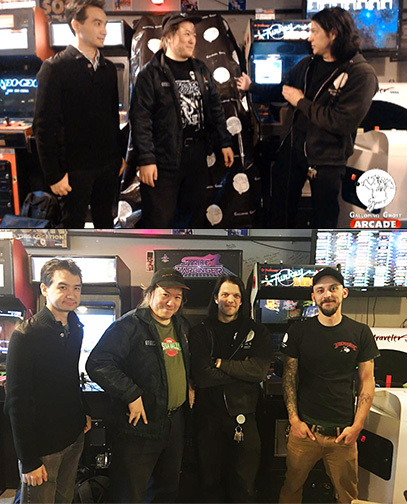 Many thanks go out to John Lester for running an amazing show, Jason Heine and Alejandro for their help in getting our station set up, and Nintendo World Champions Thor Aackerlund and Mike Iarossi for their help in lining this event up for us! The conclusion of SEGA Week at the Galloping Ghost Arcade held a surprise game reveal, which was none other than Strike Harbinger in its first playable public appearance! Many thanks go out to Doc Mack and all the GGA Staff for their help and support in making it possible. We will continue to work with Galloping Ghost Productions to develop the arcade version of the game, and will have more demo releases of Strike Harbinger at GGA in the future!